Plants are robust and branching (producing multiple flower blossoms that reach up to 3 inches across)! Comes with planting instructions. Sunflower Mexican Torch Tithonia Rotundifolia is a large, coarse textured annual sunflower plant. Sunflower Mexican Torch seeds can be sown directly into prepared seed beds after all danger of frost has passed, and the established plant is capable of reaching 6 feet tall with a spread of half that. Sunflower Mexican Torch features stout, branched stems covered by broad, velvety spade-shaped leaves and produces masses of 3 - 4 inch orange flowers. The plant begins blooming in July or August and continues until frost attracting hummingbirds, butterflies, and bees. Sunflower Mexican Torch looks magnificent behind beds or borders where its coarse texture, rangy habit and vibrant flowers create an eye-catching display. 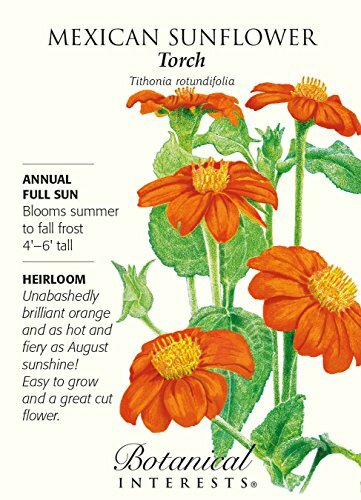 Tithonia Rotundifolia seeds are easy to start, and the mature Mexican sunflower is a genuine heat lover that thrives all summer and fall without any maintenance. Sunflower Mexican Torch is an excellent flower for cutting. Annual Blooms Late Summer to Fall Mature Height: 5' Full Sun 500 mg of seed Annual. Blooms late summer to first fall frost. 3'- 5' tall. Full sun. 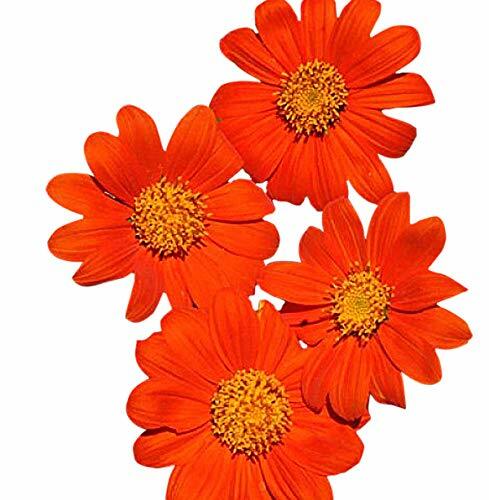 Unabashedly brilliant orange 3" wide daisy-like flowers on long stems. The 'Torch' flowers are as hot & fiery as the August sunshine! 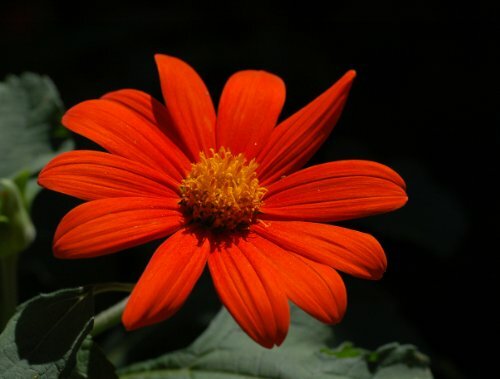 A genuine heat-lover, this Mexican Sunflower sets the dog days of summer ablaze with its sizzling orange daisies. A large outstanding plant for the back of the border. Plant a row of Mexican Sunflowers for a quick temporary privacy screen while waiting for a new landscape to fill in. Easy to grow from seed - a good choice for new gardeners and children. Attracts butterflies, especially the elegant Swallow Tails. Also tolerates infertile soil, drought, and neglect. For best results, remove spent flowers and stake if necessary. Looks lovely when paired with a purple grass like Ornamental Millet Purple Majesty for contrast. SUNFLOWER MEXICAN TORCH Tithonia Rotundifolia - 200 Bulk Seeds Sunflower Mexican Torch Tithonia Rotundifolia is a large, coarse textured annual sunflower plant. Sunflower Mexican Torch seeds can be sown directly into prepared seed beds after all danger of frost has passed, and the established plant is capable of reaching 6 feet tall with a spread of half that. Sunflower Mexican Torch features stout, branched stems covered by broad, velvety spade-shaped leaves and produces masses of 3 - 4 inch orange flowers. The plant begins blooming in July or August and continues until frost attracting hummingbirds, butterflies, and bees. Sunflower Mexican Torch looks magnificent behind beds or borders where its coarse texture, rangy habit and vibrant flowers create an eye-catching display. 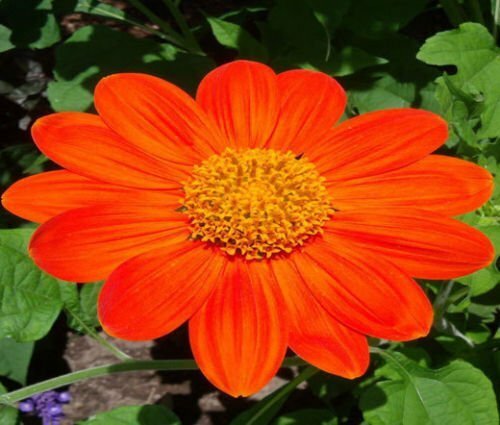 Tithonia Rotundifolia seeds are easy to start, and the mature Mexican sunflower is a genuine heat lover that thrives all summer and fall without any maintenance. Sunflower Mexican Torch is an excellent flower for cutting. About Size: ❀ Please compare the size chart carefully before order. 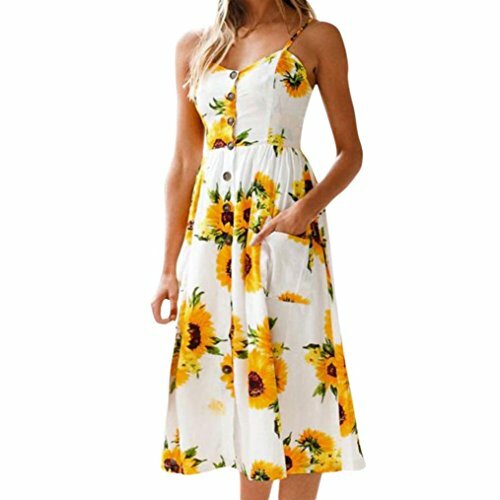 Use similar clothing to compare the size ,Please don't only judge by the size "S,M,L".❀ just look carefully the detail of size data, which is the new reversion US SIZE!please allow 1-3cm differs due to manual measurement, thanks (1 cm=0.39 inch,1 inch=2.54 cm) ❀ Size details : ❀XS=Asian Size:S☛☛☛Bust:78-90cm/30.7-35.4"---Waist:80-90cm/31.5-35.4"--- Length:91cm/35.8" ❀S=AsianSize:M☛☛☛Bust:82-94cm/32.2-37.0"------Waist:84-94cm/33.0-37.0"---Length:92cm/36.2" ❀M=AsianSize:L☛☛☛Bust:88-98cm/34.6-38.5"Waist:88-98cm/34.6-38.5" ---Length:93cm/36.6" ❀L=AsianSize:XL☛☛☛Bust:94-102cm/37.0-40.1"---Waist:92-102cm/36.2-40.1" ---Length:94cm/37.0" ★About the color: images are just examples of reference. Due to the limitations in photography and the inevitable differences in monitor settings The colors in the photo may not correspond to 100% with those in the elements themselves. 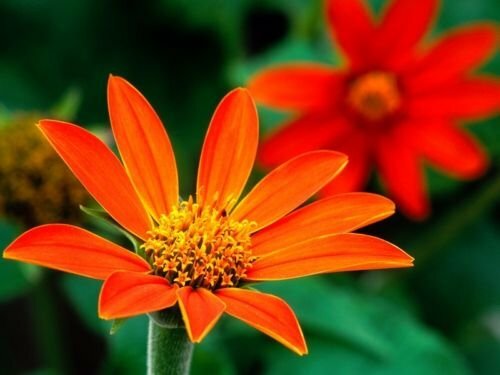 Sunflower, Mexican Sunflower 'Torch', 150 Seeds! 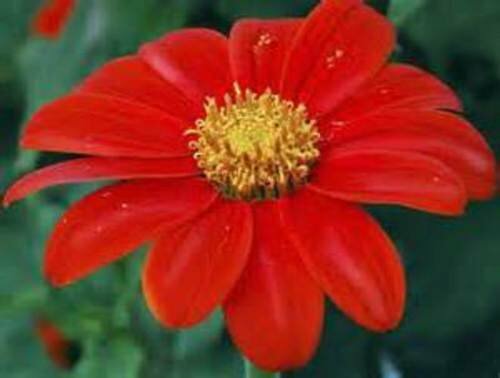 Looking for more Torch Mexican Sunflower similar ideas? Try to explore these searches: Birdhouse Birds Birdhouses, Officejet Fax Copier Printer Scanner, and Sock Monkey Key Chain. 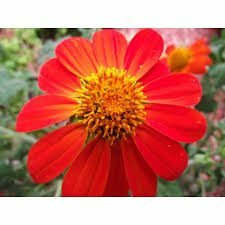 Look at latest related video about Torch Mexican Sunflower. Shopwizion.com is the smartest way for online shopping: compare prices of leading online shops for best deals around the web. 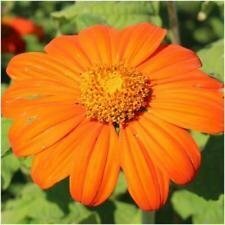 Don't miss TOP Torch Mexican Sunflower deals, updated daily.